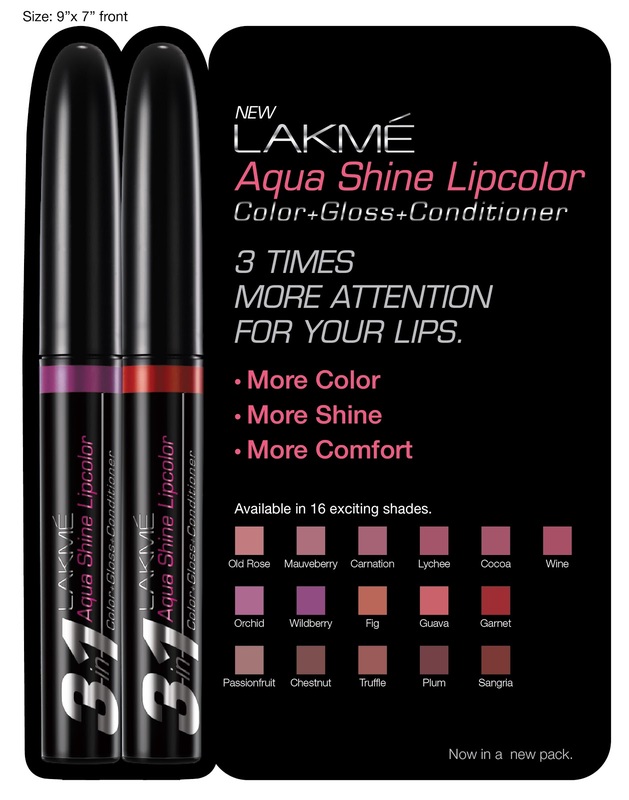 Press Release - Lakme adds new colours to their range! - Glitter & Gorgeous!! 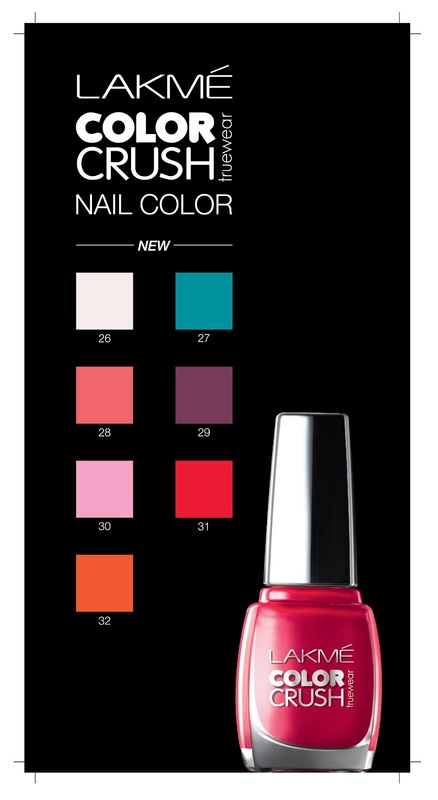 Press Release – Lakme adds new colours to their range! Look lush and get party-perfect! Look sensational as you get ready to ring in the New Year with Lakme’s luxurious new line of trendsetting shades. Created to flatter various skin types, there’s something for everyone in this line of sophisticated products. Gift yourself a glamorous look or just that little something to complement your outfit which is sure to get you every bit of the attention you deserve! 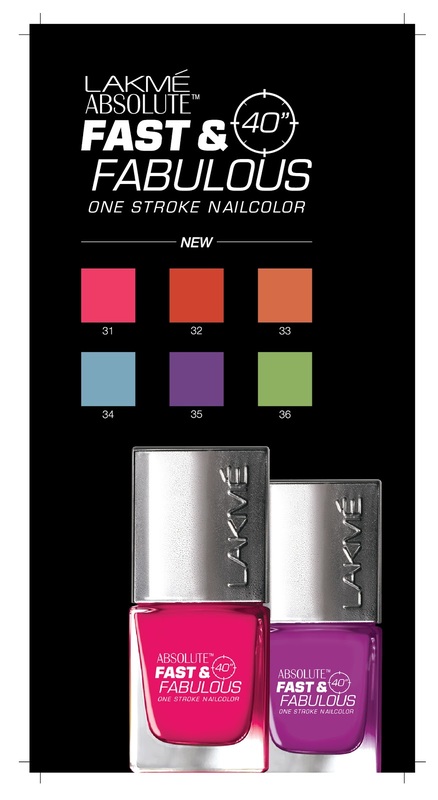 Go high drama or play it properly pretty with Lakme Absolute Fast and Fabulous, the modern woman’s favourite nail colour – now in six unique shades that make up an eclectic palate ranging from intense deep set colours to fun bright ones. Don’t worry if you’re in a rush. It takes just 40 seconds to dry and comes with a unique flat brush applicator which ensures even application with every stroke. Feast on flavours like Perky Pink, Mint Green, Salsa Red, Royal Orange, Misty Grey and Majestic Mauve. Take a walk on the wild side and get your groove on with Lakme’s Truewear Colour Crush range of nail paint – now in two new pinks, red, orange, purple, a new blue and a sheer too! Look luscious with the season’s must-have lip colour, Lakme Aquashine, which has a 3-in-1 formula that explodes colour, guarantees gloss and also conditions the lips. Reds are always right for the season, but why not draw inspiration from the seasonal festivity and choose from seven delicious new shades which come in a perfect mix of browns, reds and pinks. Guava, Chestnut, Carnation, Garnet, Mauveberry, Passionfruit, Lychee will leave your lips looking irresistible. Make a statement by adding Lakme’s new Enrich Lipstick range to your wedding trousseau. To complete the look, Truewear Colour Crush also has six new shades that pair perfectly with bridal outfits for the ‘picture perfect’ bride on the most important day of her life. So play it up and get party perfect! Add colour to your life with this new range of 24 products. Get ready to set the trend this festive season.